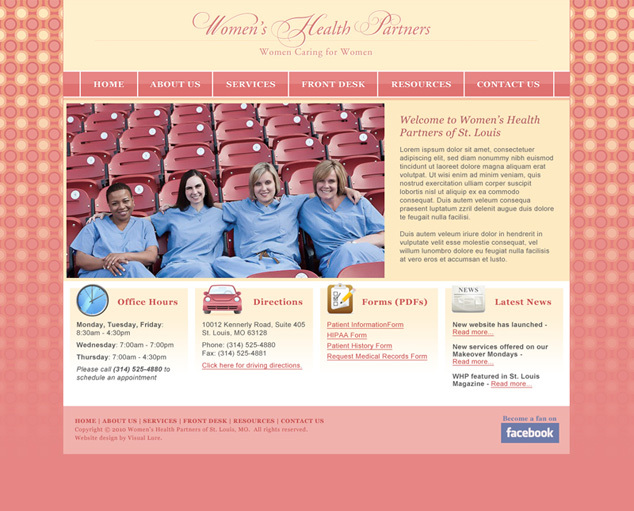 Visual Lure is in the process of designing a new website for Women’s Health Partners of St. Louis. They are a group of four female doctors. The practice’s motto “Women Caring for Women” focuses on the healthcare needs of women at every stage in life. Here is our proposed home page design that is loosely based on their office colors and decor. Check back soon for the new website design.